Savannah, Georgia, is an unlikely holiday destination for a Victoria's Secret Angel who inspired a G-Eazy song and dated Miley Cyrus. But Stella Maxwell was pictured spending the week in the southern city as she visited Kristen Stewart on set of her new historical film centering on accused axe murderer Lizzie Borden. The two fueled romance rumours as they spent quality time together walking the antebellum streets of the coastal town and chatting during filming breaks at the weekend. Talk of a possible love connection was first sparked when the duo appeared to be inseparable when inside the Met Gala earlier this year and were later seen leaving an afterparty in the same car. They have since been pictured on various occasions partying together in glamorous cities like New York and Los Angeles. However, photographs spanning from Wednesday last week to Sunday show the two women sharing an extended period of intimacy together. No one can deny the power of a pair of skinny black jeans. 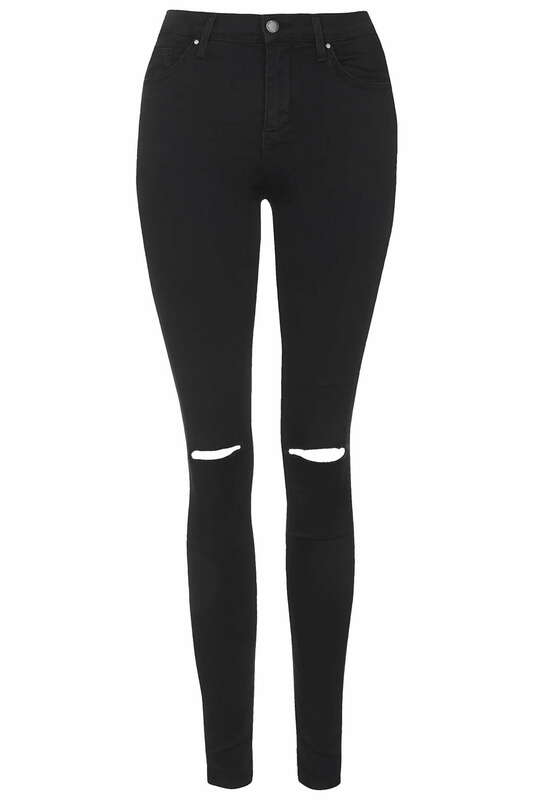 Trends for flares, boyfriend, printed and cropped denim may come and go but a pair of black skinnies is an absolute wardrobe essential. Depending on how you style them, they can be sophisticated, edgy or totally laidback. Kristen Stewart went for a cas look as she paired hers with a shearling olive jacket and Vans Old Skool sneakers. 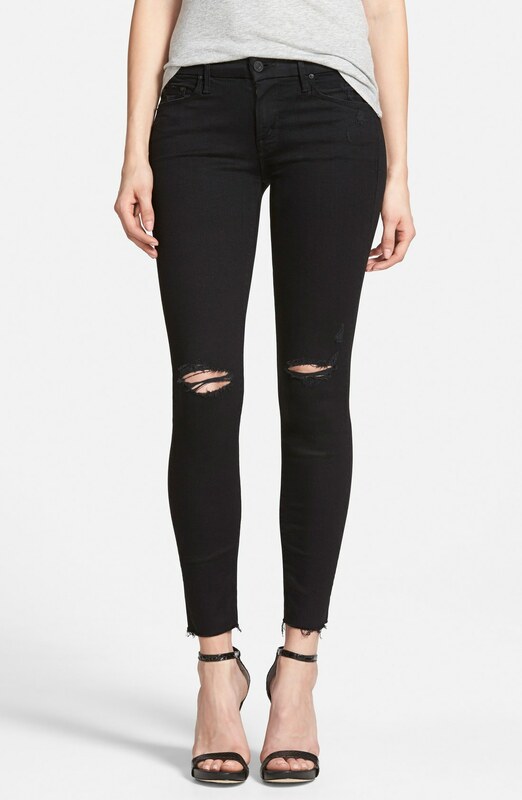 Her pair of ripped knee jeans are by Mother and they can be yours for $!98 by clicking right to Shopbop. Or get the look for less with one of the alternatives in the edit below. From Topshop to Boohoo we've got all budgets covered! ...NOW GET SOME JEANS LIKE KRISTEN'S! The two were seen shopping while locked in intense conversation. While photos from Sunday see 26-year-old Stella visiting Kristen, also 26, on set of her film directed by Craig William Macneill. The Twilight star has a quite the dating resume, from her controversial romance with Robert Pattinson to her off-on relationship with Soko. Stella was also involved in a high-profile romance of her own last year when she briefly dated outlandish singer Miley. The catwalk pin-up has spoken openly about their fling in the past, joking during an interview with V Magazine earlier this year that the two 'met through Grindr', the gay and bisexual dating app. In reality, the singer and the swimwear model, who is Northern Irish but was bought up in Belgium and New Zealand, met through the star's assistant and close friend Cheyne Thomas. Stella was pictured sharing a passionate kiss with the former Disney star when she took a break from filming her one of her music videos in Hollywood back in July, though they were never official. Meanwhile, Chloë Sevigny is playing infamous Lizzie Borden, who in 1893 was acquitted of slaughtering her father and stepmother. Kristen will play the family's Irish maid Bridget Sullivan. In August 1892, Abby and Andrew Borden were butchered with a hatchet in their Falls River, Massachussetts home. Lizzie, then 32 years old, was charged with the crime and went to trial the following June in what became a nationwide media frenzy. Sullivan, whom the family reportedly used to call 'Maggie,' was one of the witnesses called, and her testimony's often credited with helping secure Lizzie's acquittal. Though Lizzie was legally off the hook, nobody else has subsequently been charged with the murders, and the case remains cold to this day. The film has a tentative release date slated for sometime in 2017.